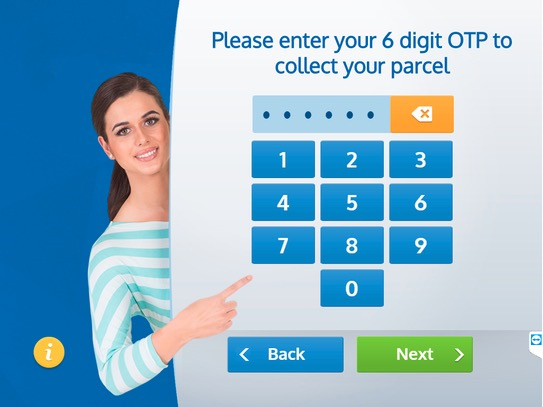 Intelligent and secure electronic locker systems for parcel delivery and collection. Enable your multi-family housing residents to collect parcels, with 24/7 access from any delivery source. The i-Parcel™ smart locker is a modular and expandable solution developed especially for parcel collection. The system is maintenance free and functionality can be managed locally. Security of data is of primary concern and the system is fully compliant with all data protection standards. No resident data is stored locally thanks to the enterprise-level cloud based control system. With the rise of e-commerce, there is an increasing need to manage online purchase deliveries effectively. Nowhere is this more apparent than within apartment complexes nationwide. During peak holiday times, parcel and package deliveries can easily increase by a factor of five. As a multi-family housing unit owner or operator, this places an increasing demand on your staff to manage these packages until the time of collection. In addition to the time and effort it takes to manage this process, you are also taking responsibility for the package security. The American Locker i-Parcel™ is available outside your leasing office hours, enabling residents the freedom to collect at their convenience, 24/7. The i-Parcel™ improves your residents’ satisfaction and will also resolve their concerns around failed or lost deliveries. The increase in parcel delivery requirements has also driven logistics & postal organizations to explore automated parcel lockers as an alternative delivery solution. Implementing the i-Parcel™ system provides cost-effective and convenient physical distribution of goods to consumers. 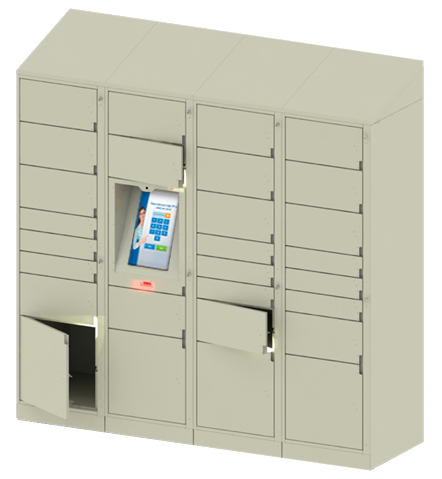 Electronic parcel lockers designed primarily for residents in multi-family housing complexes. i-Parcel™ can then be expanded using additional columns up to maximum of 204 openings before another control unit needs to be added.